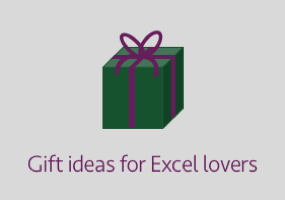 The SORTBY function was announced by Microsoft on 24 September 2018 and is one of Excel’s new dynamic array functions. SORTBY makes use of the changes made to the calculation engine, enabling Excel to return (or “Spill” to use the correct terminology) the results of a single formula into multiple cells. Before we look at the arguments required for the SORTBY function, let’s look at a basic example to appreciate what it does. The video below is sorting the Employees based on the Units Sold; this is what SORTBY does. That’s pretty useful, right? By_array1: The range of cells or array of values to sort by. 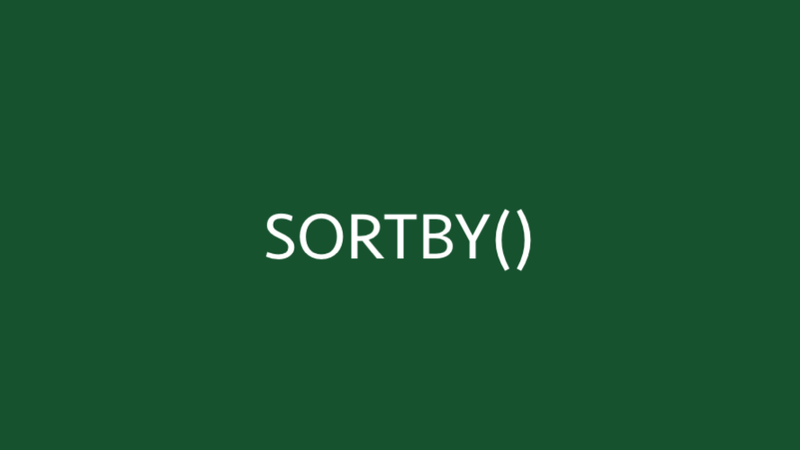 [sort_order1]: 1 = sort By_array1 in ascending order, -1 = sort By_array1 in descending order (if excluded it will default to 1). [By_array2…]: The range of cells or array of values to apply the second sort by. This argument is entirely optional; you can exclude this if you only need one sort column. [sort_order2]: the sort order to apply to the By_array2 1= ascending, -1 = descending. If there is a third, fourth or nth sort required, these can be added just like By_array2 and sort_order2. The following examples illustrate how to use the SORTBY function. In this example, the Employees, Units Sold and Average Price columns are returned based on the descending order of the values in the Total Value column. Cells B3-D10 are sorted by the values in E3-E10 in descending order. The total Total Value column (Cells E3-E10) is not within the array, but it is still possible to use it as the sort column. Example 2 shows the advantages of using SORTBY with an Excel Table. The second argument in the SORTBY function determines the values to sort by. When linked to a Table this column can have a meaningful name. In the example above we are sorting by the salesTable[Total Value] column. The ability to use descriptive column names is an advantage over the SORT function which sorts based on an index column within the array. This example shows how the SORTBY function responds when linked to an Excel Table. The SORTBY function is using a Table called salesTable as its source. New records added to the Table are automatically added to the spill range of the function. Example 4 shows how to sort using multiple columns. Cells B3-D10 are sorted first by Cells C3-C10 (the Units Sold) in descending order, then by Cells B3-B10 (the Employee name) in ascending order. That’s much better! The dynamic array functions can be nested within each other. But this nesting can bring some different challenges. This example shows the FILTER function nested within the SORTBY function. This formula is intended to sort based on Cells C3-C10, then filter to only return the rows where the values in C3-C10 are greater than 5. But did you notice in the screenshot that it doesn’t return the correct values? This occurs because the first argument of the FILTER function sorts the data, but the second argument is working on unsorted data. When nesting these formulas, we need to apply the sort to each argument. Now both arguments of the FILTER function are based on arrays sorted by C3-C10. 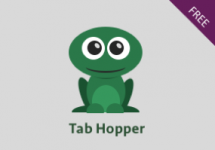 Finally, what if you only want to return a single sort position? For example, what if we wanted only the 3rd item from the sorted list? SORTBY is nested within the INDEX function. It is the INDEX function which is returning the 3rd item in the list.